Discussion in 'Gear & Equipment Reviews' started by Jd Hidlebaugh, May 14, 2008. It is amazing! I got it in today and the quality is A+! I couldnt be happier. Quick turnaround, awesome customer service, and product is great. 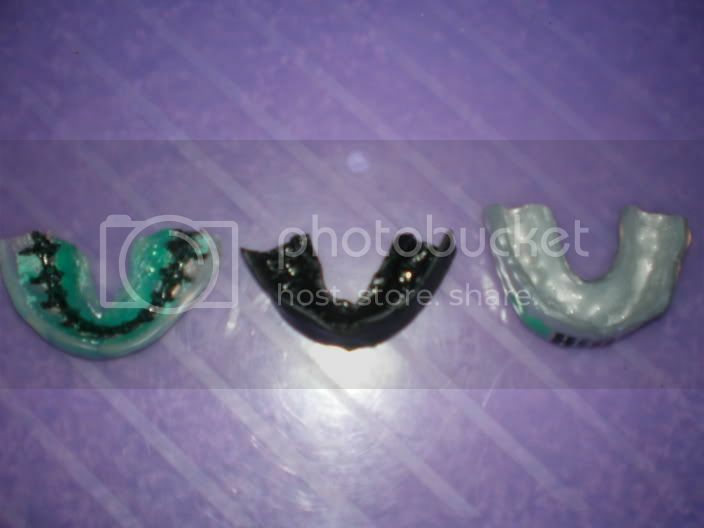 I took pictures of it in my mouth and compared to my cheap .99 mouthpiece and my $25 shockdoctor. I'll let the pictures speak for themselves. Look at that mug... Something only a mother could love. Now in my POS shockdoctor. I hope this helps someone realize that Jeff at StarsGuards is one of the best you can go to. Oh, and Hidy is what everyone calls me because my last name is too damn long to pronounce. Plus, it was my dad's nickname so I dont mind. Cool stuff, and definitely thanks for posting pics! 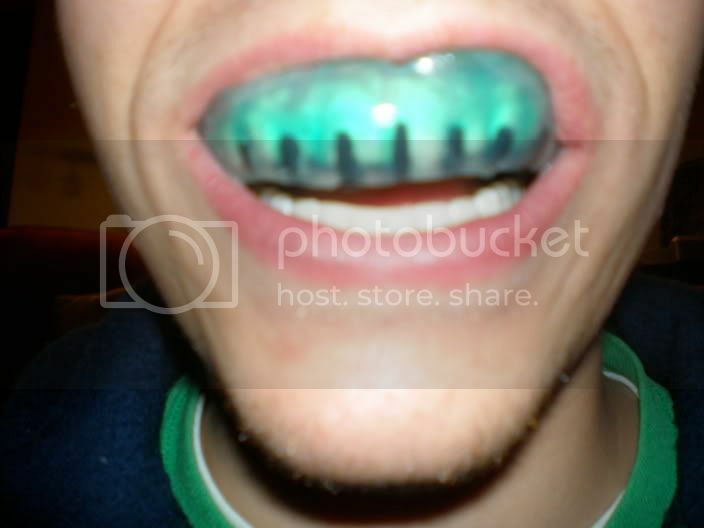 What color is the main body of the mouthguard. It looks silverish in one photo and sorta pearl in the other. sweet design man, i take it you're of irish descent? 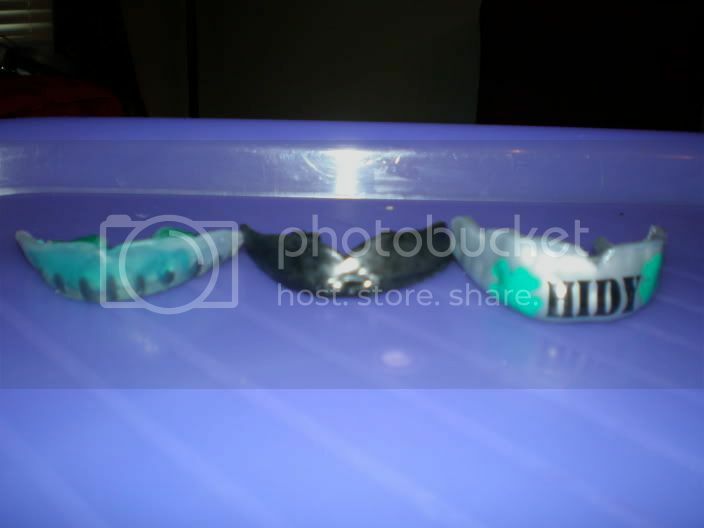 also, on the bottom of the mouthguard, does it have impressions of your lower teeth so the bite is more natural? had a bad experience with one company, waiting on jeff to hit me with the molds. cant wait to get started. 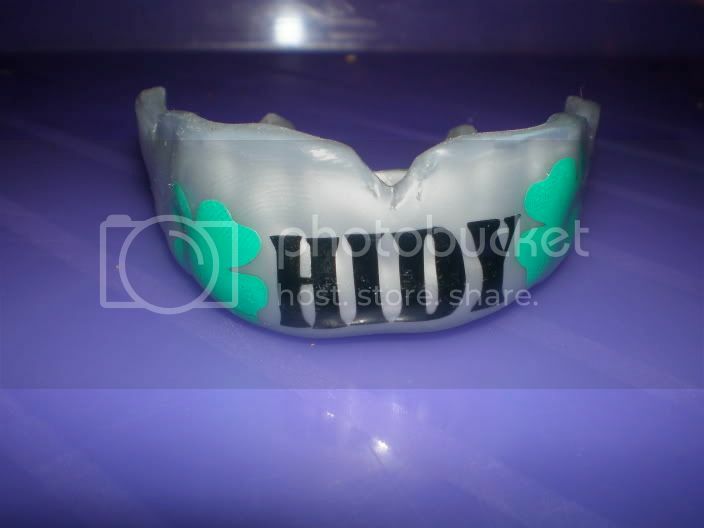 It doesnt have the impressions on the bottom of the guard, but Im thinking of contacting Jeff to find out how to do it. Yes, I am of Irish/English descent. 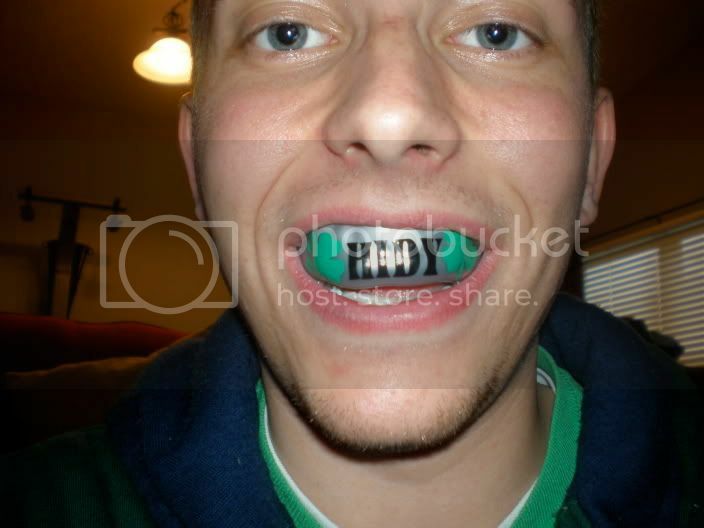 nice mouthguard. Im really considering gettin one from starsguards. thnx for the review. Uh.... The $130 one? I think the Pro MMA one. The writing on the front is a little crooked, but I can live with it. Maybe my head is just crooked? that doesnt look like a shockdoctor.it looks like the $3 i bought from walmart. From what I recall, that's the ShockDoctor I purchased from Dicks. They don't have it on their website so I can't be sure, but I'm almost positive thats a ShockDoctor as I have the ShockDoctor case that came with it.